Buzz Kill Ramblings of Tim Louie: DUDE, WHERE'S MY WEED? Here's a story to end one hell of a white week here on the east coast! I'm sure all of you have donated to the Salvation Army or Goodwill at one time or another. But have you ever donated something you didn't really want to donate? Or did you ever donate the wrong thing? Well, this isn't your typical Goodwill donation. Five large bags of marijuana were found in a donated cooler in Monroe, Washington, this past Monday. 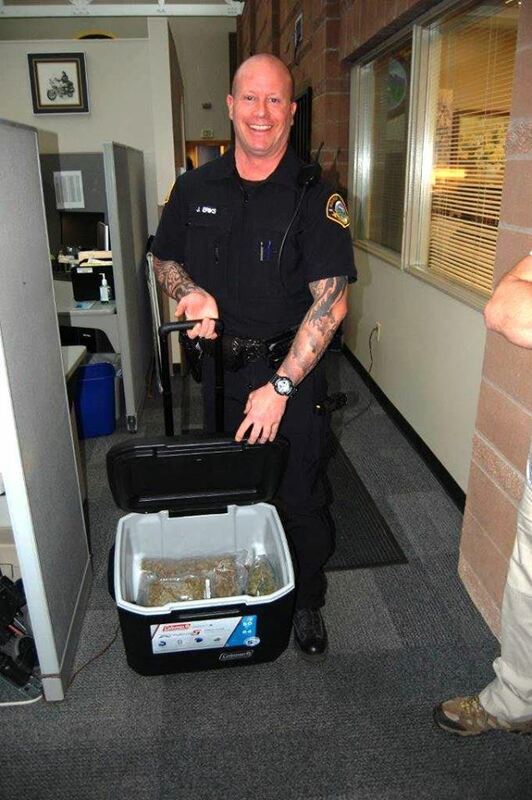 Though, it's legal in the state of Washington for people over 21 to possess one ounce of cannabis, this stash was 60 times over the limit. Employees at the store discovered the marijuana while sorting through donations Monday morning and called the cops. Debbie Willis of the Monroe Police Department said, "We went over there and they opened the lid and in there was five large bags of marijuana. Normally, when we go there, it is for a shoplifter, but not anything like this." Police tried to track down the owner of the cooler, but they're unsure if it was donated at this location or at a Goodwill trailer that parks in another town. Willis continued, "However, there are many people on social media claiming it's theirs, but we have yet to have one walk through the door." That is hilarious! You know what? That cooler does look familiar. Dude! Where's my weed? It's common for employees at Goodwill to find money in pockets of clothing or purses that haven't been emptied when sorting donations, but not 60 ounces of Mary Jane. That's almost 4 pounds! A spokesperson for Goodwill said, "This is a reminder to check your purse, pockets, or cooler to make sure you're donating the items you mean to." 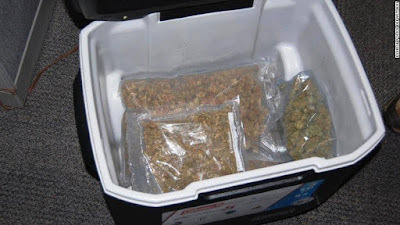 Then again, is it possible that the person who donated the cooler was stoned off his rocker and forgot it was in there? Believe it or not, this wasn't the most unusual item employees have come across while sorting donations. In 2014, three human skulls were found. Two that had been used for medical research, and one Native American skull that was more than 100 years old. The spokesperson from Goodwill said, "We worked with authorities to track down the origin of the Native American skull for the proper burial." 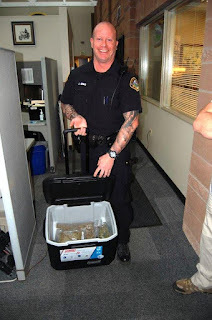 What's to happen with the 60 ounces of donated weed? Willis said, "It's just sitting in our evidence room, awaiting yearly burn of that type of evidence." Man, I'd love to be around for that ceremony. They should have it near some sort of food truck festival. Those food trucks would make a killing that day!